embossed | Kruwear - Chicago-based Bow Ties Bow Tie Ties Neckties Pocket Square T-Shirt Cufflinks Pocket Square Lapel Flowers Menswear & Accessories. 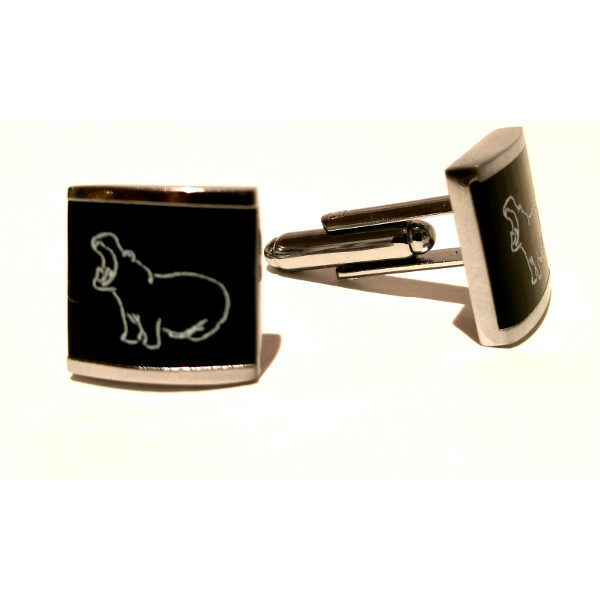 Kruwear’s silver and black cufflink is embossed with an outline of the Pygmy Hippopotamus (Choeropsis Liberiensis), which originates from Liberia. Although Kruwear was born, raised and made with love in the “Windy City”, the City of Chicago, its roots originates from the Kru Tribe of Liberia.